Your search returned 23 results from 145624 records. Call number: 747.8571 M665 (R.) Material type: BookPublisher: [Antwerp, Belgium] : Tectum, [2009? ]Description: 384 p. : ill.Availability: Items available for reference: [Call number: 747.8571 M665] (1). Call number: 725.7 C419C (R.) Material type: BookPublisher: Mies, Switzerland : Rotovision SA, [199-? ]Description: 159 p. : ill.Availability: Items available for reference: [Call number: 725.7 C419C] (1). Call number: 725.71 C419C (R.) Material type: BookPublisher: East Sussex, England : Rotovision SA, c1996Description: 157 p. : ill.Availability: Items available for reference: [Call number: 725.71 C419C] (1). by Borsenik, Frank D | Stutts, Alan T.
Call number: 647.940682 B738M 1997 Material type: BookEdition: 4th ed.Publisher: New York, N.Y. : John Wiley & Sons, c1997Description: xii, 661 p. : ill.Availability: Items available for reference: [Call number: 647.940682 B738M 1997] (1). Supervision in the hospitality industry / Jack E. Miller and Mary Porter. by Miller, Jack E | Porter, Mary. Call number: 647.940681 M468S 1998 Material type: BookEdition: 3rd ed.Publisher: New York, N.Y. : John Wiley & Sons, c1998Description: xvii, 434 p.Availability: Items available for loan: PYULIB-CL [Call number: 647.940681 M468S 1998] (1). by Dornenburg, Andrew | Page, Karen. Call number: 647.95 D713D Material type: BookPublisher: New York : John Wiley & Sons, c1998Description: xxii, 343 p. : ill.Availability: Items available for loan: PYULIB-CL [Call number: 647.95 D713D] (1). Call number: 647.940683 M621B Material type: BookPublisher: Albany, N.Y. : Delmar, c2000Description: xvii, 214 p. : ill.Availability: Items available for loan: PYULIB-CL [Call number: 647.940683 M621B] (2). Call number: 642 H426F Material type: BookEdition: Rev. 2nd ed.Publisher: Australia : Thomson Learning, 2000Description: 124 p. : ill.Availability: Items available for loan: PYULIB-CL [Call number: 642 H426F] (1). 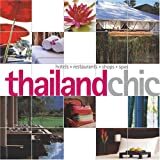 Call number: 647.95593 T364 (R.) Material type: BookPublisher: Bangkok : Blue Mango Pub., 2000-Description: ... v : ill., maps.Availability: Items available for reference: [Call number: 647.95593 T364] (2). Design and equipment for restaurants and foodservice : a management view / Costas Katsigris, Chris Thomas. by Katsigris, Costas | Thomas, Chris. Call number: 647.950682 K19D Material type: BookPublisher: New York : John Wiley & Sons, c1999Description: xviii, 510 p. : ill.Availability: Items available for loan: PYULIB-CL [Call number: 647.950682 K19D] (1). 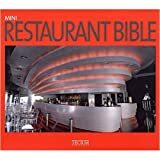 Restaurant law basics / Stephen Barth, David K. Hayes, Jack D. Ninemeier. by Barth, Stephen | Hayes, David K | Ninemeier, Jack D.
Call number: 343.73078 B284R Material type: BookPublisher: New York : John Wiley & Sons, c2001Description: xii, 371 p.Availability: Items available for loan: PYULIB-CL [Call number: 343.73078 B284R] (1). by Reid, Robert D | Bojanic, David C | National Restaurant Association Educational Foundation. Call number: 647.950688 R357H 2001 Material type: BookEdition: 3rd ed.Publisher: New York : John Wiley & Sons, c2001Description: xv, 432 p. : ill., charts.Availability: Items available for loan: PYULIB-CL [Call number: 647.950688 R357H 2001] (2). Call number: 657.837 C843B 2002 Material type: BookEdition: 5th ed.Publisher: Lansing, Mich. : Educational Institute/American Hotel & Lodging Association, c2002Description: xiv, 364 p.Availability: Items available for loan: PYULIB-CL [Call number: 657.837 C843B 2002] (1). Call number: 647.95593 B216 2004 (R.) Material type: BookEdition: Latest ed.Publisher: Bangkok : Comm Bangkok, 2004Description: 228 p. : illl., maps.Availability: Items available for reference: [Call number: 647.95593 B216 2004] (1). Call number: 647.950688 R357H 2006 Material type: BookEdition: 4th ed.Publisher: Hoboken, N.J. : John Wiley & Sons, c2006Description: xiv, 626 p. : ill., charts.Availability: Items available for loan: PYULIB-CL [Call number: 647.950688 R357H 2006] (3). Call number: 647.950682 K19D 2006 Material type: BookEdition: 2nd ed.Publisher: Hoboken, N.J. : John Wiley & Sons, c2006Description: xvi, 560 p. : ill.Availability: Items available for loan: PYULIB-CL [Call number: 647.950682 K19D 2006] (1). by Birchfield, John C | Sparrowe, Raymond T.
Call number: 647.95068 B617D 2003 Material type: BookEdition: 2nd ed.Publisher: Hoboken, N.J. : John Wiley & Sons, c2003Availability: Items available for loan: PYULIB-CL [Call number: 647.95068 B617D 2003] (1). by Chami Jotisalikorn | Tan, Annette. Call number: 915.9306 C448T (R.) Material type: BookPublisher: Bangkok : Asia Books, 2006Description: 232 p. : ill., maps.Availability: Items available for reference: [Call number: 915.9306 C448T] (1).